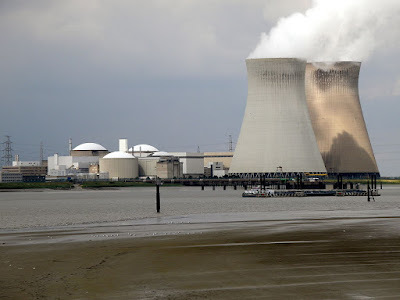 Belgium has just restarted two ancient and cracked nuclear power plants that threaten to unleash another Chernobyl disaster right in the heart of Europe! One of the aging reactors suffered a fire and explosion weeks ago and Belgium’s own nuclear safety chief called for checks after discovering 16,000 cracks! Neighbouring countries are raising the safety alarm and German Environment Minister, Barbara Hendricks, is ready to take our concerns into a meeting with Belgium on Monday. If enough of us back her in the next 48 hours, she can push Belgium to bring the plants to a halt until a thorough impact assessment is completed. Let’s stop this madness! A radioactive nightmare in such an overpopulated area affects us all across Europe. Let’s urgently deliver 500,000 signatures to Minister Hendricks and key neighbouring countries before her meeting, and make it clear that EU citizens will not allow Belgium to put us at risk of another Chernobyl. We are entering a new era of nuclear risk. The 25 oldest nuclear reactors in Europe are close to or past their 40 years of operation. And as our nuclear plants get older, the number of failures and accidents keeps growing: there has already been a reported 50% increase in unexpected failures between 2000 and 2006.
in 2014, it set the world record for unexpected problems at its nuclear reactors: leaks, cracks and even an explosion last December. More worryingly, experts say that because some of the cracks are on "one of the most vulnerable parts" of the plant, "if the reactor pressure fails, then we have a Chernobyl or a Fukushima-type accident". The government says they need to keep these broken plants open to give electricity to the country, but in the past 2 years they were closed 50% of the time for malfunctioning. Now the Belgian government is relying on its majority in parliament to get approval for two other suspicious plants on life support… for another 10 years! Avaaz campaigned for the world to agree to an ambitious deal at the Paris climate talks to save our planet from the devastating effects of fossil fuels. Now let’s make sure we don’t put our continent at risk gambling with these disastrous, creaking nuclear plants.